So if you’ve been listening to my podcast, Oh What a Beautiful Morning!, then this is old news to you, but I’m in Denver, Colorado right now! I’m out here for a shoot, and in my downtime, I’m just enjoying the mountain air in the Mile High City! Well, this weekend, I had some much appreciated time to myself. Now, I know – seems kind of a bit…much. But here’s the deal. I have heard so many amazing things about Red Rocks Church. I was at this nonprofit event on Thursday in NYC and had an incredible conversation with one of the organization’s founders about Red Rocks in Denver, and how I should check it out when I was there this week. Being a dutiful Catholic, I didn’t want to miss Mass either. SO on Saturday evening, I went to mass at Holy Ghost Church, and then Red Rocks on Sunday. And honestly, I could not have had two more different, and yet equally moving experiences in my life. Spoiler alert, I ended both experiences in tears. First of all, walking into Holy Ghost, I knew that I was going to be having a meaningful date with Jesus, as right when I walked in, I was greeted by a huge image of the Divine Mercy. And you know my affinity for that, and its “Jesus I Trust in You” message. So already I knew I was in the right place. It wasn’t anything flashy. Humble in fact, as one of the oldest Catholic churches in Denver, founded in 1905. A sparse – mostly older – Saturday 4pm crowd was attended to by a lovely priest who gave a homily about mortification – aka the spiritual discipline of putting the flesh to death. Not exactly a sparkling, feel good topic. And as I was about to tune out, he began to describe the process of pruning and blooming. And quite honestly, at first my ears only perked up because of the mention of my book’s name sake: Bloom. But he began talking about how a gardener has to prune the flowers and the branches in order for the plant to grow and produce even more blooms and shoots. That, although hard to do, it is necessary for a healthy and vibrant plant. And in fact, the pruning is done by a loving and caring gardener, wanting the best for his plants. And it was in that moment that I fully appreciated how my past, and everything I went through with my anorexia and ulcerative colitis, and my mom’s stroke – those were all pruning seasons. And that I need to let go of the, admittedly anger – I can sometimes feel about those seasons of my life. Because God knew what He was doing. That pruning, was actually done in love, so that I could become fully the person I am, blooming with full capacity. So walking out of mass, I felt completely revived. Having gained a new perspective. Little did I know what was waiting for me in the morning. Friends. I’m not going to lie. Amongst “diehard Catholics,” there is a bit of a stigma about the “Big Box” non-denominational Christian churches. The trendy sermon themes, and the coffee-touting patrons, ready to be entertained in cushy chairs by a too-hip pastor with Justin Bieber-hair, that shops at Zara, or Hollister. Catholics love to snark on it. We really do, and admittedly, I have partaken in many a conversation about just that. Zingers included. 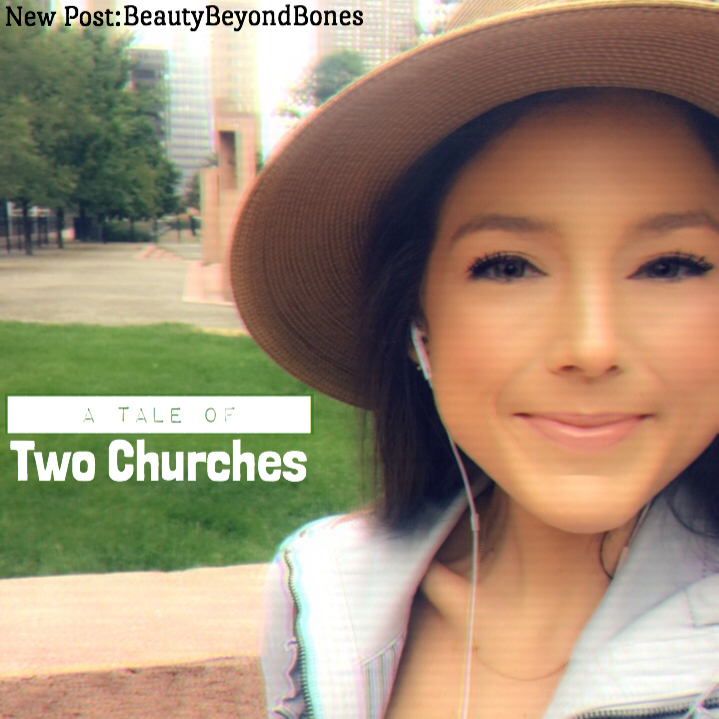 So when I showed up to Red Rocks, with the free specialty coffee and donuts, and the concert-style worship music from a man with a perfectly groomed handlebar mustache, a pastor in ripped jeans that were tighter than mine, and a graffiti background/skateboarding-vibe sermon series called “Freestyle” – I could feel my snarky inner Catholic checking off every stereotype box there was. But after about 30 seconds inside the building, I realized just how dead wrong those stereotypes were. (Surprise, surprise.) And how — real talk — Catholics really have a lot to learn. I mean, wow. The Spirit was SO ALIVE inside that Vietnamese-grocery-store-turned-church. I loved it so much I almost stayed for a second service. I walked in, and the first thing I noticed was that not only was everyone super attractive, but I would say that 70-80% of the congregation was my age. Mid twenties to mid thirties. And they all wanted to be there! And within 5 minutes of me being there, I was warmly greeted by – no kidding – six different “staff” greeters, many my age – all genuinely glad to see me, and welcomed to their community. The church was literally packed. It was standing room only. Probably 3 or 4 thousand people. The worship music was truly radio-quality — playing current worship songs that are on the radio. And I know I knocked on the handlebar mustache man, but boy could strum a six-string, lemme tell ya! The crowd was so into it. And so was I. But here’s the thing that really was what made it truly special. And maybe this says more about where I am in my life, but the sermon was so personal. So life applicable. And so moving. You walked away from that hour and a half heart-fest feeling so incredibly loved. SO loved by our Father. SO welcomed by a community of imperfect people just like me. And SO on fire for Jesus. By the end of the sermon, there wasn’t a dry eye in the house. Then they brought in the band – people continued crying like babies, and singing their hearts out to Jesus. That God-high stuck with me for the rest of the day. I can only imagine what that would be like to go back to the well like that, week after week. My two church experiences could not have been more different. And yet, both brought me close to the heart of Jesus. And it revealed a gross prejudice I had been harboring, that frankly I need to put in check. As far as I’m concerned, God is God. And no one form of worship is better than the other. And frankly, -let’s call it what it is – the judgement from both sides of the “worship line” are doing nothing but create walls instead of bridges. Because both sides are guilty. The Catholics think the “Big Box” churches are too “entertainment based” faith-periences and the “Big Box” churches think Catholics worship wafers and are too rigidly stuck in tradition, lacking a personal relationship with Jesus. And you know what – both are wrong. And in fact, I’d like to submit that both have something to learn from the other. IF we could stop speaking past each other, and constructively come together to talk about one another’s strengths and areas of improvement. Catholics are reeling, feeling the threat of parishioners being “poached” by the Big Box, but how about we all come together, and compare notes? Because clearly, they’re doing something right. Does this mean I’m going to abandon Catholicism and jump ship to Hillsong NYC or something else where young people abound (and I could probably meet a husband)? Absolutely not. I love the beauty in the history and tradition of our faith, and the meaning behind it, (namely the Eucharistic miracle and the sacraments) which make it so truly special and sacred. But, I am going to try to build more bridges between the two. Because at the end of the day, we’re all brothers and sisters in Christ, and we’ve all got the same goal and the same God. OK – that’s all for tonight – See you tomorrow for my Bachelorette Breakdown w/ BBB Podcast! This post was made possible by my wonderful sponsor, Audible . Listening to audiobooks while I cook is literally my new favorite thing. And just for you, they’re offering a Free 30-Day Trial Membership . And with this free membership, you’re going to get 2 free audiobooks! Literally. Free. It is the best deal ever. And if for some reason, you decide it’s not for you, you can cancel within those 30 days and it’s zero money out of your pocket, plus, you get to keep the 2 audiobooks. Soooo…it’s pretty much a no brainer. Plus, it’s a free and easy way to support this blog! So thank you!! I really enjoy Denver. Used to travel there for a client a lot. Love this! I used to go Saturday night (Catholic) and Sunday morning (charismatic). Always quite the contrast for loved it. Be blessed. God is in a good mood. I’m in Denver too!! Flying home to Vegas! Great words… In Christ we are ONE! You caught my attention from the title. The geeky pastor in me was dying to read about your experience in two churches. Although I have never attended a mass, my background was in a more formal denomination while I now embrace a more contemporary style church. Both have something to bring to the table, and it looks like both exalted Christ. How wonderful it is to encounter the Lord and His love through people, even when you’re far away from home! Wish there was a love button not just like for this post. I have had many Catholic friends over the years. I will never forget some years ago when 2 Catholic young people from Vietnam that came to my Sunday morning group for English told me they pray for me and my class because we had many who were atheist or Buddhist. 5 of them came to believe in Jesus over one year. There is a small Catholic chapel that I go to sometimes to pray. We can learn from each other and encourage each other. Whoa, this is really good- and I mean REALLY. I believe all Christians have lots to learn from each other! My mom, sister and I read your blog and have been so encouraged in our self-worth. One thing you said in one of your posts stuck out to me: when you were talking about why Catholics display and treasure priceless items, you said that it was to give God your best. Though I’m a Southern Baptist, this has had so much meaning for me as a teen growing up in a secular world. I’ve started to look at myself before I leave the house- am I giving God my best with what I wear and the mindset I’m in? And to be honest… I think sometimes I could use a wake-up call. So much to learn!! Thank you so much for this post, Caralyn- I can’t tell you how much your blog has impacted my life. A great post, you hit some nerves with me. A family member of mine is Catholic and so overbearing about it. It drives me away. I have also met other Christians who attend the Big Box churches like the one I occasionally attend. It has 5000 members. Wow. What bothers me about the big box is that it’s so impersonal. You never really get to know people as easily as a small church setting promotes. What matters most is that we are all worshipping the same God. The only God. I find the bickering and condemnation from either side of the aisle to be something that keeps me away from organised religion mostly. My faith is strong as ever regardless. I see people crying during those services, with joy. The sanctuary is overflowing with the Holy Spirit. It’s palpable and I love it. This is a beautiful piece, thank you. I love the pruning – Not sure if you’re familiar with Dr. Henry Cloud, but he co-wrote a book called Necessary Endings and it’s focused on that. You also nailed the description of the “big Box” church. I say it with warmth because my wife and our family attend Gateway Church in Southlake, Texas (just outside of Dallas) – It’s a mega-church but is so filled with the Holy Spirit you have to fight for seating!!! Thanks again and super article!!! I loved this post so much! I live in Denver and used to go to Red Rocks YA every week where I would usually be sobbing by the end of the the message. But I agree, we should build more bridges between traditional and “big-box” churches because there is so much to be learned from both. Wondetful post. As for myself, I dis-sect-ed in November 2006 and never looked back. It is better to serve Jesus as He said to the woman at the well, that neither those who worshipped in the temple or on the hills of Samaria were right. Instead, He announced personal/private worship in Spirit and Truth. Both Church and The Big Box deviate from.His Word in terms of dogma, liturgy, structure, etc. This the pot can’t call the kettle black. I would really love to see Christianity to return to its original ways in first century Jerusalem,before (we) Gentiles corrupted it with paganism, idol worship, animism and what else. I have a friend who is a friar in the Dominican Order, a lovely man. In Cape Town, I saw a few times how (we) Protestants protected grossly erring pastors, it was only a RC priest who acted according to Scripture. I go where the Spirit, and not my gut feel, leads me. Have a great day! Oh gosh there is such an anti faith bias in this country! It is so so sad. I am so very, very glad that you have now experienced a true worship service at a “Big Box” church and wrote this wonderful post! I am a “Big Box” Church attender/lover/worshiper and admittedly sometimes one of those “Catholics don’t have a personal relationship with Jesus” thinkers. Although I have to say that your personal relationship with Jesus is beautifully apparent in your posts 🙂 I have attended a Catholic service maybe 5 times in my life and found the Church buildings stunning, but lacked understanding of the importance of what was happening in the Mass. Through the years, after meeting several dedicated Catholics who truly love Jesus, I realized that it is what is in our hearts that is important, not what is in our church services! In my Big Box church, sometimes I come out completely wrecked emotionally after having a deeply intimate encounter with God, sometimes I come out so packed full of joy that I am gushing out love to everyone. Sometimes I come out feeling so utterly grateful that a God so Great could love and want such a mess like me. But I always come out feeling SOMETHING awe-inspiring deeply. God always touches me clear to my soul if I go in expecting to meet Him and willingly lay down my agenda at the door and open my heart to hear His beautiful Words to me. I believe anyone can have this kind of encounter, or the kinds you describe here, in ANY church, big or small, Catholic or Protestant, ornate or simple. Band-filled, or voice filled. You just have to check your agenda at the door and open your heart to Him. Wow, another great post! I love the way you shared about your experiences, and how stereotypes (both sides) are wrong. So cool! As a cradle Protestant, I heard all the criticism of Catholics when I was growing up. Then, as an adult, I began reading some of the earliest of Christian writers (other than the disciples themselves) – Thomas a’Kempis, Brother Lawrence, St. Augustine, et al – and, lo and behold, they were all Catholic. 🙂 They were pre Luther and they were so in tune with God and the Spirit that I learned much from them and was inspired to follow God with my whole heart. I agree with you that we have much to learn from each other! Great take on 2 churches! I know we can always learn from others, but whatever we learn it needs to drive us to be more like Jesus. Also to live in holiness. That’s a word that sacred people but it shouldn’t. As a Christian our desire should be to exemplify Christ. Not try to mimic the world. We need strong believers in these days in America! 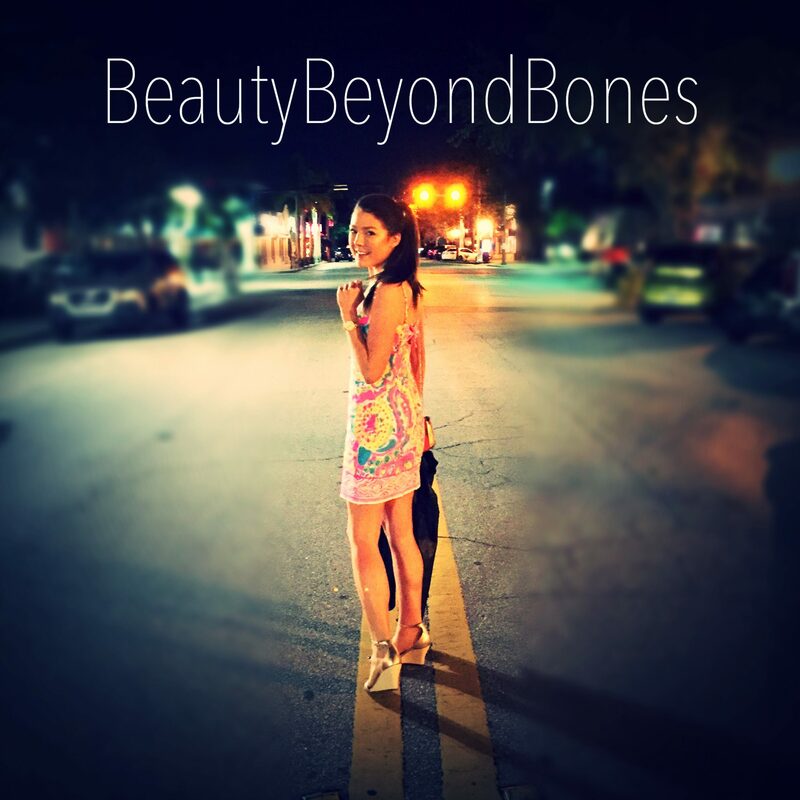 New platform suggestion – Beauty Beyond Tears! Be sure to stay hydrated!! But seriously, folks… My church back in Ohio was a “post-Catholic” Lutheran church with traditional liturgies, etc. We developed a contemporary worship held in the gym every Sunday; two traditional servies in the sanctuary and the gym overlapping the late service, starting late enough for the pastor to sprint to the other end of the building in time to preach again. It was a disaster; there were rifts in membership over who had to be a background singer and who got their own microphones. The leader started thinking they were their own church and the pastor had no right to tell them what to do. It also turned into an excuse to be sloppy with many people showing up in heavy metal t-shirts, looking like they’d been gardening, and even walking aroud during the sermon. Obviously, a bad taste was left. All that being said/vented I think you’re right, but the trick is always to look to their theology first. One “Big Box” back home had billboards around town, urging everyone to “Feel Your Faith,” which is all kinds of wrong. Joel Osteen’s gospel of prosperity and feel good showman ship to bring In the dollars is leading many down a very bad path. If you attended an emotional service every Sunday, would you lose sight of faith and end up going for the emotional high? Anything that uses an overabundance of emotion repetitively is something I would be cautious of. Do the traditional churches need to take a lesson from the Big Boxes? I think so, but should tread very carefully in the process. I saw how it all went south at my home church. Well, sorry to go on. I just have had some bad experiences. I know we need to do some adapting, but very carefully. Turned over another year yesterday! Unfortunately, we both had some sort of stomach flu and were home all day after church. My daughter, however, bought us all tickets to go see Gabriel Inglesias a.k.a. Fluffy next month not far from here in Mississippi Great gift! No worries! And thank you! Feeling better today. I’m gonna have to get a selfie with the Fluff man to post! This post resonated with me. My parish is a tale of two communities: the caucasian crowd is getting older, losing young people to the more-hip church nearby, while the Hispanic membership is booming, with a lot of energy and a lot of love. Instead of honestly looking at why white millenials are leaving, noses get turned up and the remaining white crowd harrumphs, “We’re right and they’re wrong, so we don’t have to do anything. They’ll be back.” Frustrating, and not healthy. White millenials have left because a connection wasn’t made, while Hispanics of similar age have stayed. Denying that there is a problem won’t solve anything. There is energy in the hip churches, and we need to understand it and learn from it. Thank you so much friend! I’m so glad this resonated with you. That’s a great point – we can’t deny the problem – we need to tackle it head on and work together! Thanks for stopping yb, Mike. And I will definitely keep your parish in my prayers for healing and unity! Amen! We do have work to do! As you embark on your mission, I highly recommend a book by my favorite big box guy, Andy Stanley, called Deep and Wide. In it he talks about how we need to be willing to do what you did: Namely, go deep (don’t shy away from our faith) and wide (find ways to appeal to the unchurched) . I continue to applaud and encourage your honesty and courage in exploring these topics. Keep doing awesome things! I always enjoy being in a church that makes you feel like you belong. I attended a church like that earlier this year. Unfortunately, it is a ninety minute drive away, but I hope to make it back someday. Hugs and love back to YOU!!! This is why I’m a Methodist. I’ve always loved the traditional liturgy of the Catholic Church, but it lacked the Spirit I often felt at more “pentecostal” Churches. I think United Methodist is an excellent compromise. Spirit and Truth. Terrific blog post as always, Beauty! (Don’t know your real name, but the screen name definitely fits). What a beautiful and unique name! It essentially means “warrior of love” because of the etymology being both “Charles” and “Cara”. It fits you very well. More to it than that, but seriously an incredible name. Yo I literally just moved out here two weeks ago! Are you still here!? Well let’s get lunch or something. I can’t pass up an opportunity to actually meet you. That’d be like the highlight of my year. We never meet other bloggers in real life. Sure! I can even show around. Take you to see all the gems. Keep me posted! Enjoy your stay. Please do. Meeting you would be a dream. Loved that you love both experiences. I know there are people in both camps who love Jesus. And just as concerning, people in both who love their church experience and friends, but don’t yet know Jesus. May we never fail to see those around us who still need to come to the Saviour in loving repentance, to become one of his children. In terms of coming together and comparing notes, I might’ve suggested InterVarsity Christian Fellowship if you were in college. I’ll write this anyway for those who are in college and resonate with Caralyn’s message. Many chapters, including the one I was in, had many different denominations among their students. This provided a really easy opportunity to compare notes with my Lutheran, Methodist, Presbyterian, Baptist, Episcopalian, etc brothers and sisters. To this day, we all share songs we wouldn’t know if we just stuck to our faith traditions. It’s pretty cool. Ahaha loved this so much! ❤️ yes, we have so much to learn from each other! Let us build bridges, not walls. I go to both- catholic mass and non denominational church, and I always feel God in both. At the end of the day we all worship the same God. Blessings, thank you for sharing Caralyn. I wondered reading this if you were in any way influenced to check out that church after reading my “this is my story” blog. lol wishful thinking maybe. I live for impacting others and this blog definitely impacted me. I follow Bethel Church in Redding Cali and I highly recommend checking them out on YouTube, worship and the sermon by Bill Johnson. Some of the associate pastors there are evangelical and went to meet the pope and talk about unity! Chris valloton made a blog about it which is amazing. always remember the best thing about churches is that there are people in them and the worst part is that are people in them. Churches spend way to much focussing what is different between them. I was the Discipleship Director at our church for years and truly loved dealing with the congregation it was the business side of it I got tired of dealing with. I do miss it. It took me 2 years to get AEDS put in the church. The part that got frustrating for me was other board members were focused on the business side of things and not the congregation. I finally said to my fellow board members that they had things backwards. I just told them if you don’t take care of the congregation you won’t have to worry about the business side! I can’t hide going to church because my name is on several walls. The other side of that is I have major connections within a certain denomination. Remember that no matter how tough things get all the garbage you have gone through up to that point has prepared you to handle that moment at that second. Carolyn, I don’t know if you read a lot and this is just a oassing recommendation, but Catholic theologian Peter Kreeft has some reeaally interesting insights in his book “Catholics and Proestants: What can we learn from eachother?” But all your instincts I think are good! (Although, as an aside, I think the church should be a very quiet, mysterious, sacred place of worship, and that Christian rock, while wonderful and fun should be after mass with pizza and flashing lights in the Parish Center Meeting Room). This is interesting. I have been known (nearly every time I run lately) to burst out in tears while on a foothills run listening to modern worship songs. Yet, I have been ministered to so much by attending my current home church, which is an Anglican congregation and has decidedly traditional liturgy and Eucharist service. The many facets of Christianity are fascinating, and how they can minister to someone at various places in their life. You touch on nicely here that there is a place for the many faces of his church. I was bought up in a town that had a strict divide between Catholics and non-Catholics back in the 1950’s. I found that quite a turn off and compared that spirit with the simple life Jesus demonstrated on earth and the various prejudices He suffered from the traditional Jewish and the big box Greco-Roman religions. His life to me compared positively with both negativities mentioned. So I abandoned both options and tasted the world to the extreme, but the simple Gospel of Jesus continued to work on my mind and I eventually yielded to Him on a personal basis. I refuse to take a label and being called one label or another is not going to get us into heaven. It is a personal relationship with Jesus that is going to make it possible for me to experience heaven, not confession to an earthly person, doing penance or any of that stuff. My “works” will be an outgrowth of my experience with Jesus, not the method of getting me there. My label is Christian and while we all have slightly different interpretations of Scripture I’m part of a fellowship of believers, the children of God. I look forward to meeting you up there and we can enjoy the delights of heaven together with all the other pilgrim believers. Keep writing your uplifting blogs. I enjoyed this post so so much! I definitely go to one of those “Big Box” churches that freak out the catholic churches in my area and I have been around more than a few discussions about the”rigidness” of the traditional catholic church. I love your mature perspective and how you were able to find love for both styles. It would be soo cool to be able to bridge the gap between the traditional and the contemporary churches, they both have so much to offer. I really appreciate your writing! Always so refreshing! home of all my comforts. and nothing breaks the silence. and eyes look out for love. having withdrawn self to self. I love it, fear to leave it. Welcome to Denver! My home town. My wife is third generation, and our grandkids fourth! Great town but definitely has growing pains. We attend a fine Presbyterian church. But I’ve gone to silent retreats at a Jesuit retreat house for decades. Viva la difference. Once you said “Colorado” and “Church”, I IMMEDIATELY thought of Red Rocks Church!! I’ve been listening to their sermons on podcast since 2012 and the Lord has used that church SOOO much in my walk with Him! Such awesome post!! If you’re ever in the area you MUST go and experience the Spirit and the energy in that place. He is ALIVE in there!!!!!! You still in mountain time? If not, and you’re back east it is bed time! Loved this 🙂 so glad you had those experiences!!! I’m evangelical-charismatic with a leaning to Hillsong and Vineyard, and a love for an ecumenical, Jesuit-run chapel in Brussels, where I use to go for Thursday-lunchtime prayer services until we left Brussels last September. But I had one of my most intense spiritual experiences in a the small Romanian Orthodox church next to the Metropolitan’s HQ in Bucharest. I still shed tears of joy to write about it. Nothing was happening like a sermon or worship songs, but an old lady was face-down on the floor in worship while a young lady was looking reverentially at an icon and priests sang hidden behind a screen. God was being worshipped and had been worshipped there for hundreds of years, I guess. His presence was strong. That presence moved me to tears. It still does wherever I encounter it/Him. We have much to learn from each other! Brian McClaren has written an excellent book about this called “A Generous Orthodoxy” (link below). He makes your point: why not see what we can learn from the way other streams of Christianity “do church” instead of pretending that we have the only good way? John Wimber, who founded the Vineyard church movement, once said that he believed that “they” HAVE to worship “like that” so that we can worship the way we feel is best for us. All sincere forms of worship are necessary to worship Him as He deserves! Speaking of pruning which that German pope was writing about when he still was a Cardinal, isn’t it ironic that the big box stores are dying, for retail shopping. For some numbers, as the next generation inherits the Earth, when it comes to pruning, you may want to read the link which is enough to bring tears. Love this and totally agree! I was raised in the Catholic Church but, now attend a new age, nondenominational church. One main problem is the actual beliefs of the two. The Big Difference; not necessarily the rigidity of the service. Caralyn you did it again. I swear to you with each post it’s like I’m truly peering inside your heart and it’s a beautiful place. If I get nothing else from this whole “blog thing” I’m trying my hand at I’ll say this. I have truly enjoyed every letter I have read of your blog. It is good to know there are still some genuinely good Christian women out there who aren’t afraid to pour out their soul to people. Most being strangers. I applaud you ma’am and if I am ever out NY way, I simply MUST have a coffee with you. I can imagine the stories you have to tell. Sorry for the long comment but you truly are a special soul! Be blessed girl! Hugs and love right back to you girl. I’m not too kind I am just honest. I’ve never met you and I feel like I have known you for years. You truly have a gift sweetheart. You really do. Really nice article and your writing style was engaging enough to keep me reading till the very end, although I’m heading to the shower to get ready for bedtime. What a blessing it is to read about a successful, twenty-something woman who spends a portion of her “down time” going to church and writing engaging blog posts about her experiences as well. I was in Denver last weekend. Hm. Not my side of town though. I have been to both also and others. It’s hard to say. Pride might be helpful to determine a definite winner. If there even needs to be one. A book is not a movie. Similar functions and different measures. I see that when I see the commentary on what worship is in different sub cultures. The brain’s amygdala, controls our emotional response but it is interesting that without it we are fully engaged and empathetic. I believe we’ve kept it because it is fear of things that have kept us alive up to this moment. Our brain weighs three pounds and our amygdala is the size and weight of an almond. It’s actually the word almond in Greek. So. Sundays, become a way to bypass our fear responses and restore faith in humanity. I am bookish, so the performance based worship (big box, your word) leaves me, bored. Even, at times when I’ve sat in my friend’s Anglican churches on Sundays, it’s felt slow. Can song and dance overcome deeply set boundaries with integrity and respect in tact? I don’t think so but it is better than going to all out war or silent revolt through micro aggressive behaviors leading to our current day prejudices. Wow!In Christ we are indeed one! Sounds like an amazing experience!! I’ve grown up with very traditional masses and churches (Irish family, and big-box churches aren’t very common in England), but I just searched some up and found one in London and from the sound of this I will definitely check it out! Great post, Caralyn. Building bridges between churches is enormously important, so that together we can bring even more of God’s love into the world. Wow, this has to be one of my favorite post of the year so far. I’ve always struggled with how there can be so many different types of churches and worship, how can we possible know what one is the ‘right’ one. But yeah, God is God and he isn’t stopped by a different type of building or worship. Thank you so much! I love this post so much. I’m on the opposite spectrum where I was raised in a non-denominational “mega” church, and had a prejudice against traditional church services (not just Catholic churches either – the church I came from has an extreme superiority complex). A few years ago I visited a Presbyterian church and was initially put-off by their modernized Eucharist. I immediately recoiled in my mind thinking they couldn’t possibly be a “good” church if they’re reciting the Apostles Creed because that’s legalistic! But I enjoyed the people and the message so much that I went a few more times and even brought my parents to see what they thought. My dad pointed out that the traditions that made me uncomfortable are not wrong, they’re just different from what I was raised with and that as long as the pastor and the congregation have hearts on fire for Jesus, the rest is just cultural preference. So I joined that church and am still actively involved 2 years later. I agree that there needs to be less judgement between the churches – how can we show the love of Jesus to strangers if we can’t even show it to fellow Christians? I love spirit-filled non-denom churches. We live too far out of the city, though 🙁 Here in MN there’s a lot of lutheran churches. I just can’t bring myself to go. If the Spirit isn’t there, not much point in going, IMO. This reminds me of the Catholic-flavored “big box” experience I had as a teen. I went to one of the youth conferences in Steubenville, Ohio, and let me tell you – the ENERGY of 1500 other people at Mass who all want to be there, too … it’s just indescribably awesome. You have not lived until you are clapping to “Let the Fire Fall” as an entrance song to Mass under a tent! It’s frustrating to me how much that worship style gets poo-poo’d by probably 99.9% of Catholics I know. Why be so picky about how people encounter God? I can’t imagine God Himself is all that picky. Anyway – glad you got to experience this! Yes…the Spirit is definitely alive and well. I have found amazing experiences of the Spirit in many different religions…which is quite beautiful. Thanks for sharing your experience. Hey, and if you have a chance and are up to it, visit and LDS church sometime :). God bless! I appreciate this post so much! Half of my family is Catholic – including a nun, the other half Protestant and all of us land all over the spectrum on liturgy and actual faith. Personally I’m somewhere in the middle between Catholic and “Big Box” liturgy, and I’ve heard most of those snarky remarks too! Big Box churches aren’t all the same, some do inspire said remarks! However, in my opinion, you came to the right conclusion, that its not about walls, or liturgy, or musical stylings, its about Jesus, knowing him and sharing him with others. Well, you’re in my neighborhood, it seems (Sort of. I work in Aurora, but commute from Colorado Springs). We used to live in Lakewood, though. If you’re up for amazing European Bakery goodness, check out Taste of Denmark on the corner of Jewell and Kipling (1901 S. Kipling St Lakewood CO 80227). When the “inter-service rivalry” between church factions isn’t about matters of doctrine, then the arguing is pointless and petty. The infighting among differing factions IN THE SAME CHURCH was enough for me to pull the plug on my last serious effort at being part of a church community. Yay for you! Being protestant I was brought up that Catholics were just wafer-stuck. When I moved years ago to a small community that was basically 90% Catholic I was lost without my own church. I did find a small protestant church but also joined a small prayer group of Catholics that met each week for sharing of songs and prayer. There was no priest involved but there were brothers from the local Catholic seminary. Being surrounded by Catholics I soon made many friends. One friend and I made an agreement. I would visit her church and then she would visit mine not to try to convert one another but to understand each other’s faith. In doing that, we both remained firmly Catholic and protestant, but we gained a real appreciation for the other’s faith and came to realize that God is God. We may give ourselves labels, but to Him if we trust in Jesus as our savior, we are all His children. I think if we look at what we agree on, it is more than what we disagree on. Satan loves to keep us divided – but God died for us all. I’m thankful you met God in both places. I echo others – I think this post is one of my absolute favorites so far this year. What an incredible experience you must have had! Being raised United Methodist, I grew up with both the praise and worship aspect, as well as the traditional aspect with the hymns, organ music, etc. I’m on the media team at the church where I was raised since the age of 4 (different name, same building), and I run the computer and projectors for both services once a month, and occasionally sub when needed. As I’ve gotten older, I’ve found that I’m drawn closer and enjoy the praise and worship service much more than the traditional service. Partially because I grew up in the late 1990s and through the 2000s, when a lot of the modern worship singers and bands were very popular. I love MercyMe, Steven Curtis Chapman, and a handful of others. Our youth retreats always had loud, rock-like bands that set us on fire during the mountaintop experiences. However, I also see the appeal of being traditional and holding on to certain traditions, sacraments, and routines. I have several favorite hymns that spark memories of family, friends, and other church experiences. I deeply appreciate Communion. I went through Confirmation in 2001. I’ve done it all. I’m thankful that several friends and family friends are of different denominations and religions – Catholic, Episcopal, Lutheran, United Church of Christ, Baptist, Jewish, and non-denominational. I’ve been fortunate to have attend multiple worship services in a variety of places and states throughout my life. I’ve gained knowledge from every single one. My heart will always follow Methodism, but I consider myself an open person, willing to worship anywhere with anyone. Thank you for another thought-provoking post! Awesome! I still sing it at the top of my lungs when I hear it. I left the Lutheran church when Pastor Kevin left (you just read my blog about the baptism). I ended up at a big box church. Well it wasn’t then only 50 people now greater than 3000 getting ready to open a second campus. Our Pastor always says go where you feel the most connected and get the most out of it. He never says negative things about any other church because if it is meeting the needs of the people and bringing them to Jesus than it is doing its job! I’m really glad you enjoyed both services! It’s all about connection. Wonderful weekend for BBB. You get the best of both Worlds when you seek for the “what is”. When I began exploring churches, the Catholic Church (my childhood home) was the last place I went to. What shook me when I entered the congregation was the powerful heart connection. Big Box churches create a powerful emotional experience for their community, but the point is not whether you remember the words to the music or the sermon. It’s whether you hear the Holy Spirit speaking into your heart. Big Box experiences tend to blow that door open. Catholic Church tends to invite you out into the meadow. But for several reasons, I’d encourage you to alternate weekends at church. First, Big Box churches are a great way for a young person to meet other young people – including potential spouses. Secondly, I’d be interested in your conclusions as a religious anthropologist. The priesthood doesn’t have a financial stake in their community – pastors at Big Box churches do, and I’ve discovered that it colors their teaching. My aunt, who is a nun, makes the point that the temptation for the priest is the power and authority of the institution. I don’t remember how much of this you know; I’ve probably mentioned it on my blog, but I don’t expect you to have read every post. I grew up Catholic. I didn’t have the appreciation for everything behind the traditions that you do, though… that wasn’t communicated to me very well, ever, and my mom’s church seems more like the type where people identify as Catholic because they are Mexican or Italian or Filipino rather than because they love Jesus. I got involved in a nondenominational Christian student group in college, and eventually stopped going to Mass and started going to the church that many of my friends from that group went to (this was the old church that I went back to once last month because they had a reception for the youth pastor who was leaving, I mentioned that on my blog). As an adult I’ve had mixed experiences with the stereotypical big box churches. I’ve had mixed experiences just about everywhere, for a variety of reasons, and I’m still not sure I’ve found a permanent solution. I guess I just need to focus on what God is saying to me at the moment. I thought I had something important to say, but now I feel like I’m just rambling… I’m glad you had a great experience this weekend. Take care. So glad you just wrote an informative rather than persuasive post this time. I think you’ve just stumbled upon something. You may be so near the root of what religion really is…just hiding under a rock around the corner, I’m sure. Thank you for being open about your Sunday morning experience, alnog with the adventure and the courage it took to lay down any bias at the door. Please, do this again elsewhere. Each assembly will be different in their style and ministry. So glad you did this. God’s grip, Beauty. Glad you were able to appreciate Denver! I find it funny I haven’t been to many churches outside Colorado but our religious leaders here seem to love gardening analogies! I love, love, love this post! What else can I say? You hit the nail on the head! This reflects much on my discovery of your blog, actually. And following along opened my eyes both to my own attitudes, and to a glimpse through your eyes of beauty in a tradition not personally owned or understood by me. And I’m right there with you; I don’t really sit in either seat, either fundamentalist (on either side of the fence) or in the ‘beiber-hair’ crowd. There is something to be said of people who know how to lead a great pep rally for Jesus and who can energize an immense crowd–I would honestly love to have that kind of energy–but that kind of thing has personally failed me more times than not. But more importantly Jesus has been teaching me to find him in the low levels of excitement, in the mundane, in the quiet. In not only my free time but the time I am busy at work or with other people. Great post. I’ve always believed that any delivery of the message that brings you closer to God is worthwhile. Our relationship with Him is so personal that you have to follow what resonates. He can be experienced through the tradition and ritual of mass as well as more “modern” worship styles. I think it’s great! Great word (as usual). You have hit on something so essential… Christians are often way too busy “putting down” other churches and we miss the whole point of the fact that we are ALL Family. There is beauty and grace in every “style” of church because God is immense in beauty and grace — we just have to be willing to see it! We are so ingrained to “compare and contrast” that we can often miss God in the process. Thanks for sharing your experience and reminding us of the fact that the Label above the door doesn’t matter as long as God is truly worshiped and adored inside. M. A. Sometimes we tend to forget Jesus said He would be wherever there were two or three gathered in His name. He didn’t specify where, what they were wearing, or how they were worshipping in exact detail. He just said they should be there gathered in His name. I think it’s part of human imperfection to pre-judge, but it’s so refreshing to open one’s heart and see that ‘they’ are our brothers and sisters, too! This is why I try to be part of the Church – not just one congregation, but there where God is working through His Spirit, no matter the denomination. Raised Catholic, happily, chose to seek Jesus outside that as an adult. (Maybe a medium sized box! Lol!) but, I do agree! Well done!! God bless! My dad’s side is catholic but when my parents got divorced I was raised mostly by my mom whose parents were southern baptist. We eventually found a non-denominational church where I put my roots. After years of youth ministry and now teaching the Bible at a private school to almost 200 different denominations I have changed a lot. You are right, there is a stigma both ways. The majority of my students misunderstand Catholicism and I get the chance to give them the history of the Church as a whole. We have Jesus in common always. Blessings to you as you love others and help them heal. Great thoughts, Caralyn. I think the same from my perspective. Which was why I really valued our time in an Anglican church plant which in the end didn’t make it. We started taking our grandkids to an evangelical mega church and now our daughter is taking them, and we found much the same thing there: quite solid, great ministry to children and in the teaching/application of the word and in music for worship. Not as flashy I suppose, but just as well done. I agree so much that the traditions of Christianity can learn much from each other. We are one in Christ. Thanks for sharing. I like your open mindedness, and flexibility to explore different denominations, and communication of the gospel, and the love and mercy of God, in Jesus. In my reading I just look for writers who love and trust Jesus above all else, and seem merciful to others, whether Protestant or Catholic. You seem to be a peace maker, thanks. Completely enjoyed this blog post and totally identified with every single word! I had a somewhat similar experience when I lived in Lynchburg, Virginia and I had opportunities to attended a few Baptist services (working at a funeral home in a predominately Baptist town all but guaranteed that) and a few traditional Presbyterian services with a good friend of mine. I also became good friends with a Greek Orthodox priest. As a cradle Catholic, I had very little experience with other denominations so I really didn’t know what I was getting myself into in regards to these other Christian traditions and services. And while I never had as intense an experience as you describe, I did learn that all these people are, in a sense, like me and trying to stumble over the finish line as best they can. As such, it’s not my job to criticize them per se but to talk to them and dialogue with them, like I did with my good friend whom I mentioned above. Also, last year, I was able to read Peter Kreeft’s book, CATHOLICS AND PROTESTANTS: WHAT WE CAN LEARN FROM EACH OTHER. I can’t do the book justice in a short comment but one thing Kreeft said at the beginning has stuck with me. He said that Protestants, in many cases, have the fire (Jesus) but don’t have the fireplace (the structure, traditions, sacraments etc. ); Catholics have the fireplace but not the fire in many cases. As such, we need each other to ultimately reunify the family, as it were. Have you read the book? Highly recommend it. Dear Beauty: Your experience has revealed to yourself the truth God is not a religion, God Is. Man has religion and often forgets we are All Children of the Divine. I hope you continue to grow in understanding, as your sharing is a tool to help people see we are a Human Family with Divine origins. Awesome. It was funny to read what the Catholics think about us. I laughed as the descriptions do match the “look”. I’m happy that you spoke about the spiritual encounter you had. What I loved most about your post was that it helped me to understand more about the Catholic church, because I too have been viewing them from stereotypical view point. Thanks for the reminder that we are all one body. So first, welcome to Denver! I’m so glad you’re loving my home. It is an amazing place and clearly you felt the whole of God surround you both in church and outside of it. I love reminders like this which show us how much denominations don’t matter – God matters and He shows up every single time….often despite our efforts. The eyes are so easily deceived and led astray. We dont walk by seeing, we walk by Faith and believing. I love visiting different Churches and learning from the individuals there. I dont see religion. I see people. I feel them. And I feel Gods spirit. Whether they are full of s#!% or whether they are geuine. Thats what is important. Not denomination. Not skin color. Not size of building. I can say from experience, it is not always so easy to discern between truth and lie. Many times because we lack knowledge, understanding, and discernment we mistakingly think it is the Holy Spirit when its not. It is easy to get emotional and therefore conclude the church is okay…but thats misleading. We, the members are the Church. It cannot exist without us. But yet we are full of failures, sins, etc. So it is no surprise people are always let down one way or another. And thank you for being truly invested in your audience, for taking the time to respond. This was so REFRESHING. Thanks so much for sharing! I think I’m a bit old for all that rock music (or maybe it was being brought up strict Presbyterian and needing to know what’s coming next). However, I get what you’re saying. God isn’t limited by our comfort zone. I had a reminder of this recently when I went into an Episcopalian church to pray (https://scotinprogress.com/2018/06/17/ecumenical/) and came to the conclusion that we need to build bridges not dig deeper ditches. Thank you for this amazing post! It’s so moving and so true that we tend to villify fellow Christians. I am one of those who attended a big church with loud music and I love what I get from that. Your post about your Catholic experience helped me see that different. yes yes Amen Amen. The BRIDE IS BEAUTIFUL and your wrote of HER so well!!! Just experienced the Eucharist becoming Catholic on Pentacost. .. . I too have found from raising hands to kneeling knees He is BEAUTIFUL!! Personally, I don’t think you can get to know a church at the first meeting you go to. I think you have to go several times to know what the theology is & to guess what is really going on. There are a lot of hip new preacher’s that preach the prosperity “gospel” and people there are happy because if you hear that God’s going to bless you all the time…..I would be happy too, they change all the meaning of bible to warp in their idea’s truly saddening to see. A lot of churches these days are straying away from the truth and becoming more conformed to the world rather than the bible which is also sad. I know you are Catholic but I would have to disagree on the practices & theology behind Catholicism. At the end of the day, I think you have to be discerning & vigilant and find a church that has Godly council, theology, people. It seems that churches in Your country differ from those in my country. Many of our churches are wooden churches. Their Bell towers are separated from churches. Outside, in many cases, there is a wooden poor-man statue, inside a Votive ship and walls are full of paintings. I just love your precious heart! Growing up Catholic and now being part of an Evangelical church, I sometimes miss the sacredness of the liturgy. But I have learned to appreciate that each form of worship has its place in ministering to people. In the same way I have learned to appreciate that people have different callings. God is immensely creative in how he choses to reach people. It really depends on what brings you closer to God and His Son Jesus Christ. I have been to the big churches i.e Planet Shakers, Baptist & Enjoy churches and how wonderful are their homilies and singing???? But I always go back to my roots, when it comes to the time of consecration and the real presence, in the other churches I always feel as if I have been cheated out of the best part of Jesus_His real presence as spiritual food. I tagged you in the blog award/recognition “Get to know me tag”. No pressure to participate but here’s the link: https://perfectlyimperfect92.wordpress.com/2018/06/24/nominated-for-the-get-to-know-me-tag/ have a great day! Truth be told, we “non-denominational hipsters” (LOL) make snarky comments about the trudged traditional ritualism marking many of our brethren of the Catholic persuasion (smile). I guess the important thing is that wherever we worship we get to experience and know God more fully. Love this post. My mother grew up Anglican and when she met and married my dad she joined him at the pentecostal church where I grew up ( and still worship!) Like you said there is beauty in each form of worship and I think we as members of the body of Christ need realize that no “style” is better than the other! Lets make Jesus famous again no matter the denomination! Thanks for this post !! Amen, sister! The thing I see is that “all things work for good for those who love God.” (Romans 8:28) This division of Catholic and Protestant has been difficult and painful at times, but I am starting to see gifts that are coming from it. We have many converts in our parish, and they have brought a burning desire for Bible study, which has kindled a love of Scripture for many more in the parish. How amazing would it be to combine the beauty, reverence, and Eucharist in the Catholic Church with the joy, community, energy, and message delivery that you saw? That would be pretty powerful indeed. Thanks for your post. I really enjoyed it. I lived in Italy for a couple of years as a missionary for my church and love all things Italian and (almost) all things Catholic as well. I too have felt the spirit while attending other religion’s meetings–both Catholic masses and other non-denominational services–and I agree with you whole-heartedly that we can and should judge less, learn more from each other, and tear down the walls that divide us. More bridges would do all of us well. I appreciate your sharing such a personal experience and appreciated your insights and perspective very much. If you’d like to visit my own blog again and Like, Share, Comment or Follow it, I’d always welcome your contribution. You can find it at https://thedailymormon.wordpress.com. This is so good and so true. We do need to make bridges in the body of Christ. Excellent post. All who know Christ personally are a genuine part of the “body of Christ”. Thank you for your thoughts on big box churches. I never knew Catholics thought about them that way. My family and I were part of one for 8 years and it was a beautiful thing for a time. We were in leadership there and became uncomfortable with the branding and business-like way of running it. It became more like a corporation than a community, the teaching more motivational than Biblical and the emphasis was on church branding and excellent entertainment, instead of Jesus. But you’re right, all of them aren’t that way. Thanks for the reminder to listen and build bridges! My son lives in Boulder. I’m going to let him know about Red Rocks. Good for you! I grew up Catholic as well, and have that snarkiness. It’s a lovely thing to watch it dissolve in front of the presence of the living Christ. Or to find Him in the Eucharist. Either is a golden path, and they both lead home. Nice compare/contrast. I often wonder what the worship concert type Christians would do if they actually understood that the same Jesus they are so energized about is here, waiting for them in the tabernacle and adoration chapel. I’m a little late on this post since I just started my blog on 8-10-18, but that’s cool you were here in Denver! If you are ever in town again, my wife and I would love to have you over for dinner! The kids would have so much fun meeting you! You know me, we are 100% Gluten free, Organic, and NON-GMO! Great post about the church! There are a lot of on fire churches here! You would love our church too! God bless you!